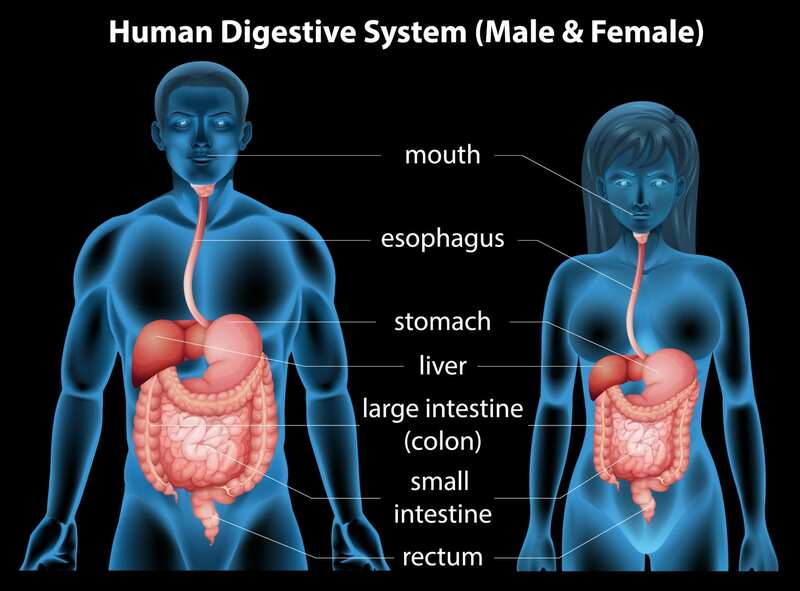 How Can Chiropractic Care Help Your Digestion? Digestive problems such as chronic heartburn, Irritable Bowel Syndrome, diarrhea, gas, bloating, and constipation are common ailments among Americans. Most of us have spent a lot of money on over the counter medicines that help ease the symptoms but do nothing to treat the root of the problem. Recent studies have found that chiropractic care can offer a drug-free method for treating digestive issues. Digestion is our body’s way of breaking down the foods we eat into small enough pieces for the nutrients to go where they are needed to keep us healthy. Digestion begins as soon as we put food in our mouth, with chewing and saliva. From there the food travels through various organs, each serving a job in further breaking down the food. The digestive process is controlled by our nervous system. Several different regions of our nervous system send signals to our body to promote digestion. With so many nerves in our spine, one small subluxation could cause a major digestive issue. A subluxation is any misalignment in your spine that affects your nerves. Subluxations can be minor to severe. Improper alignment puts stress and strain on your nerves, leaving them unable to work properly. If your nerves are unable to send the necessary signals to the rest of your body, digestive problems can arise. Chiropractors specialize in identifying subluxations and safely and effectively correcting it. By gently guiding your vertebrae back in place, your chiropractor can realign your spine, taking stress off the nerves and allowing them to once again function properly. After beginning a chiropractic treatment plan, many patients suffering from digestive ailments have seen their symptoms disappear. If you have digestive problems and would like to know more about how chiropractic care may help you, call Creekside Chiropractic today at 317-758-4880.
http://drerinmerrill.com/wp-content/uploads/2018/04/qtq80-clHtls.jpeg 1440 2160 Pat Pickett http://drerinmerrill.com/wp-content/uploads/2015/11/Creekside-Chiropractic-Sheridan-Indiana-Logo-vert-340px-300x138.png Pat Pickett2018-04-26 10:09:402018-04-26 10:09:40How Can Chiropractic Care Help Your Digestion?